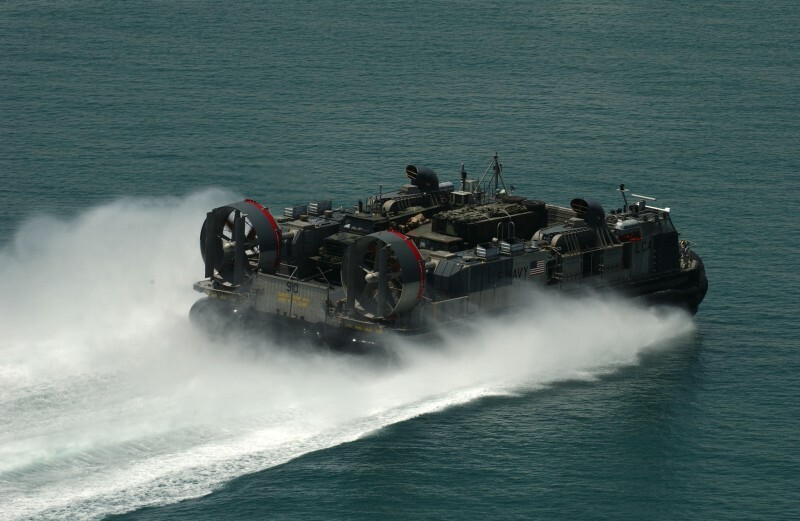 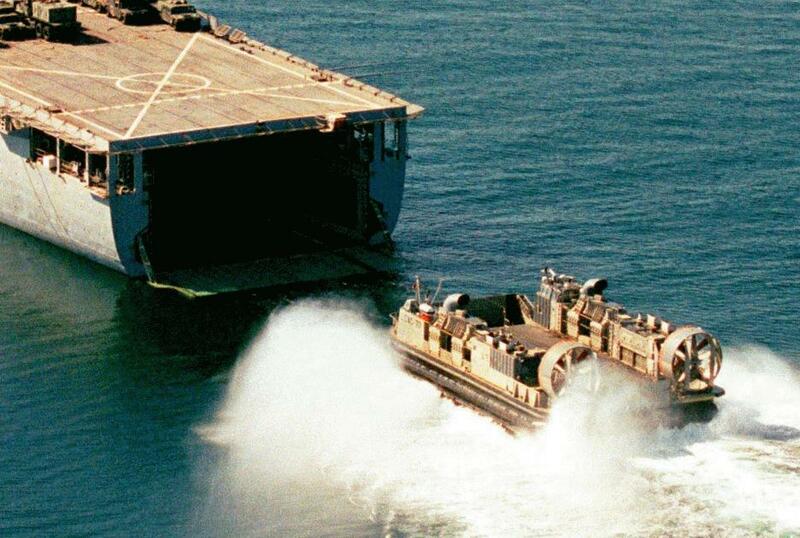 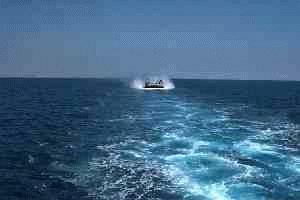 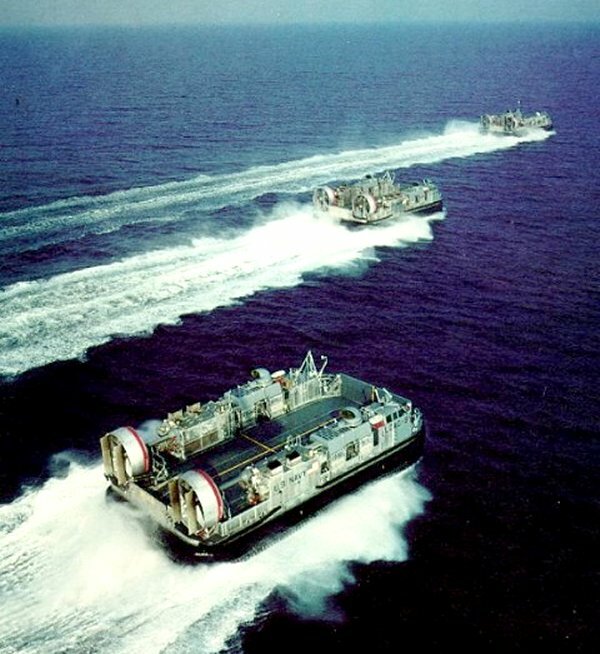 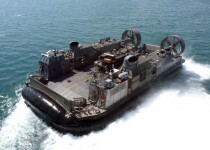 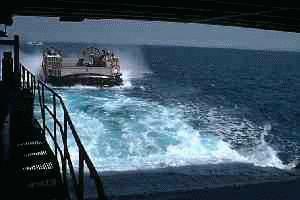 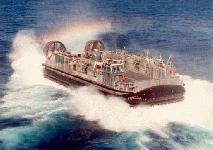 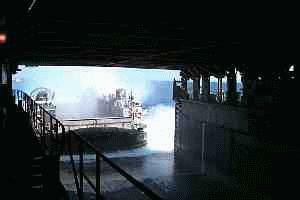 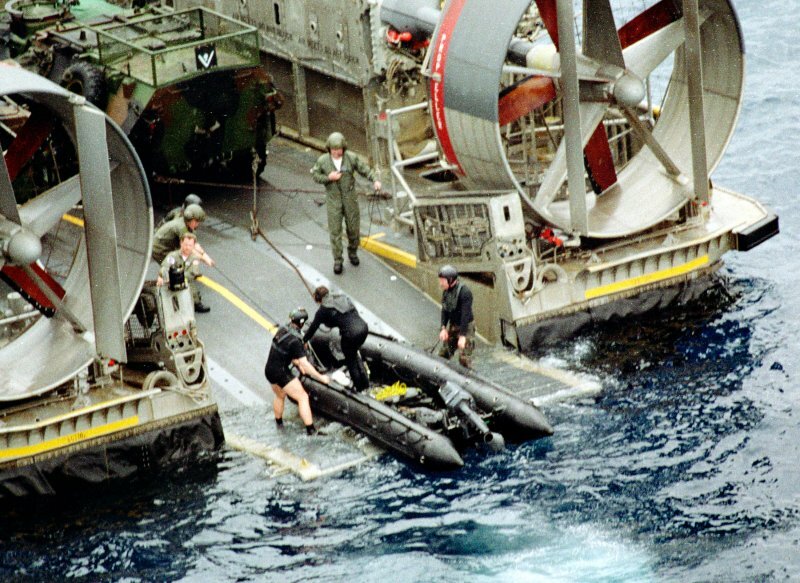 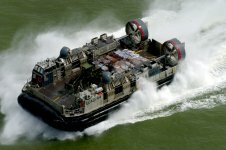 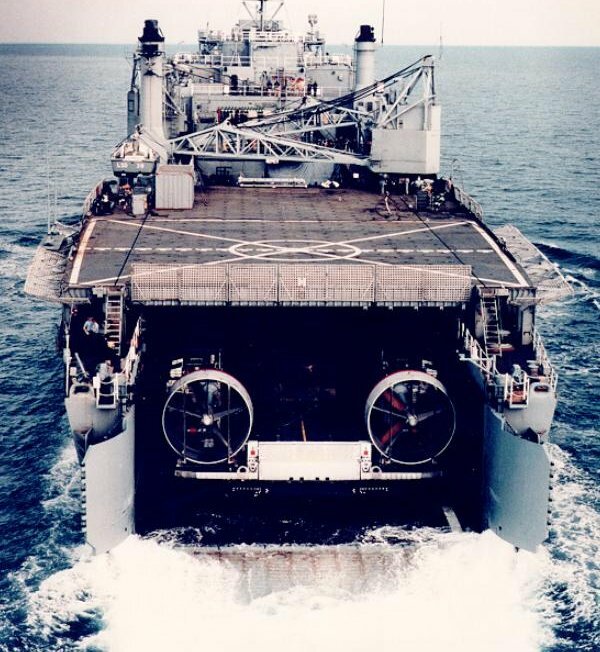 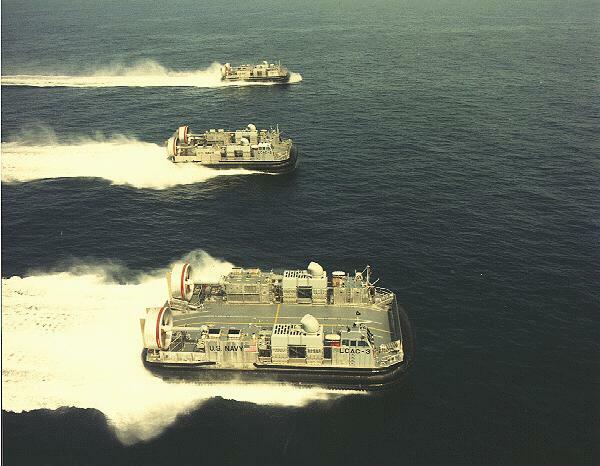 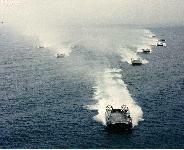 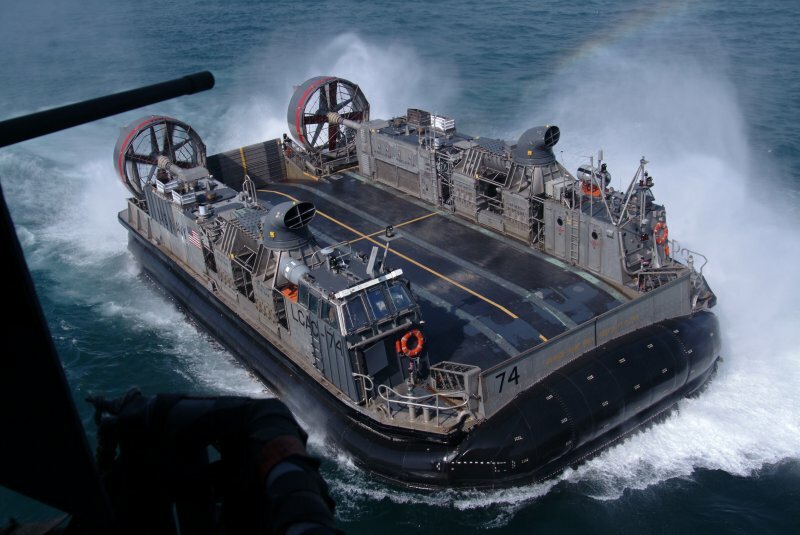 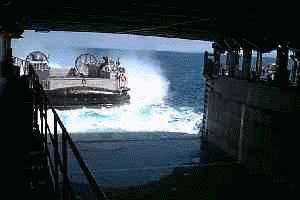 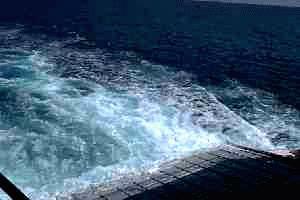 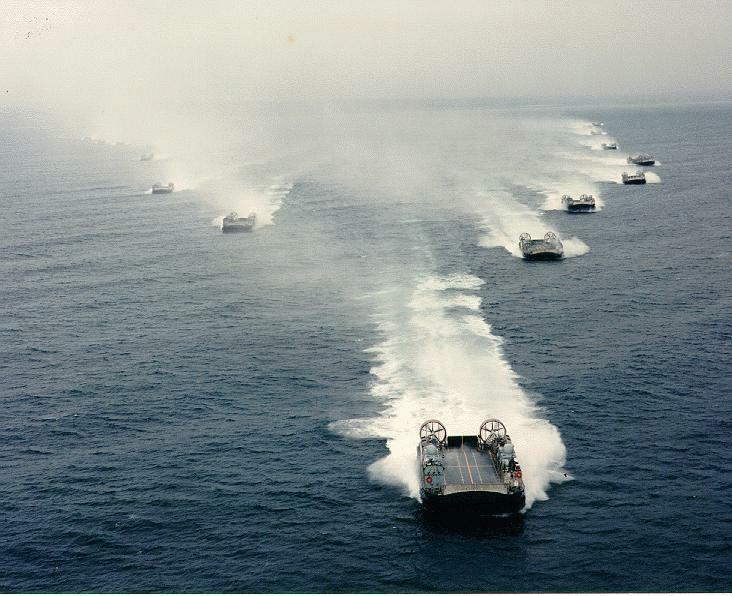 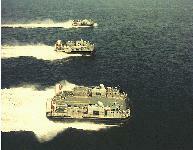 Sterngate lowered, ready to receive LCAC (10 knots speed thru water). 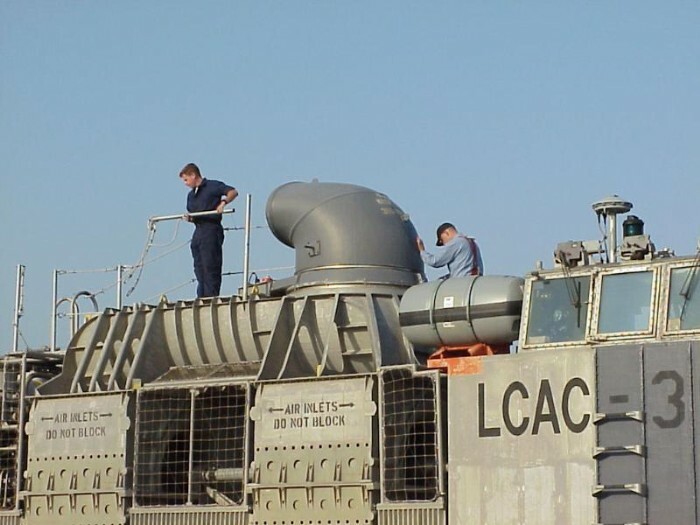 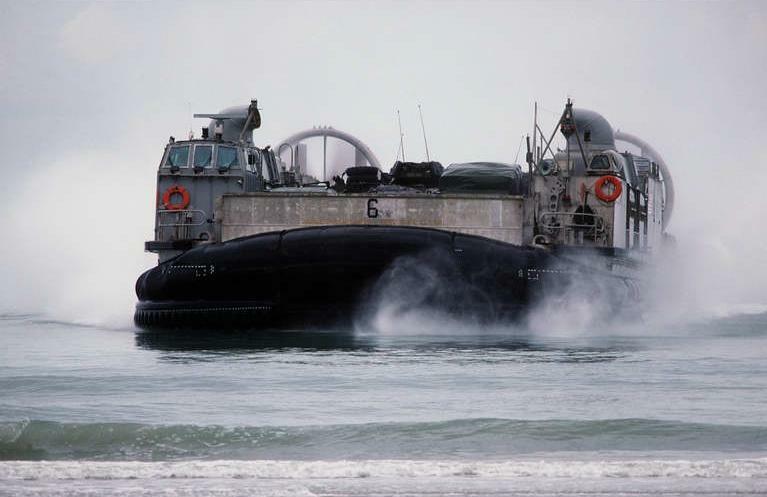 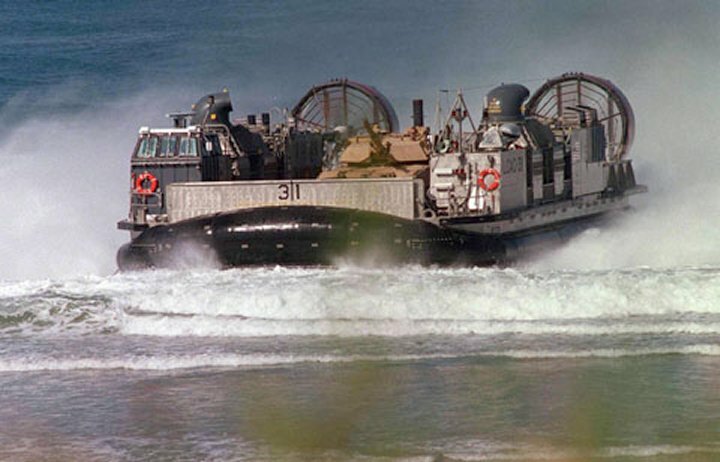 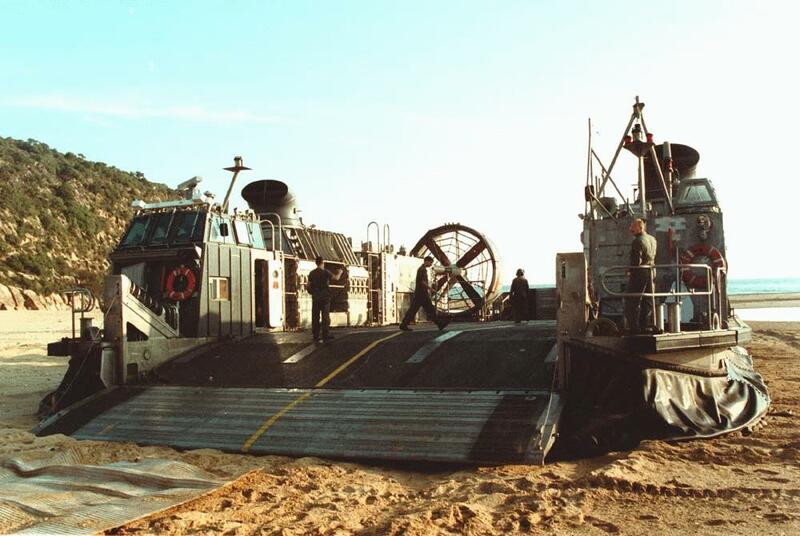 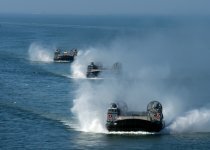 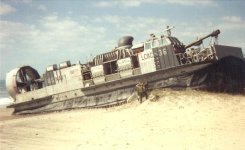 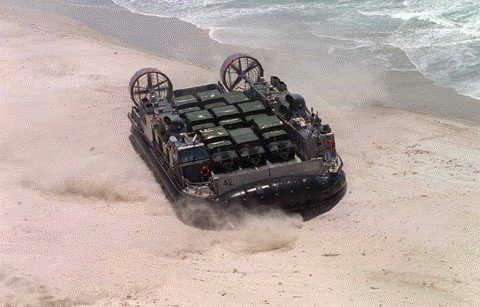 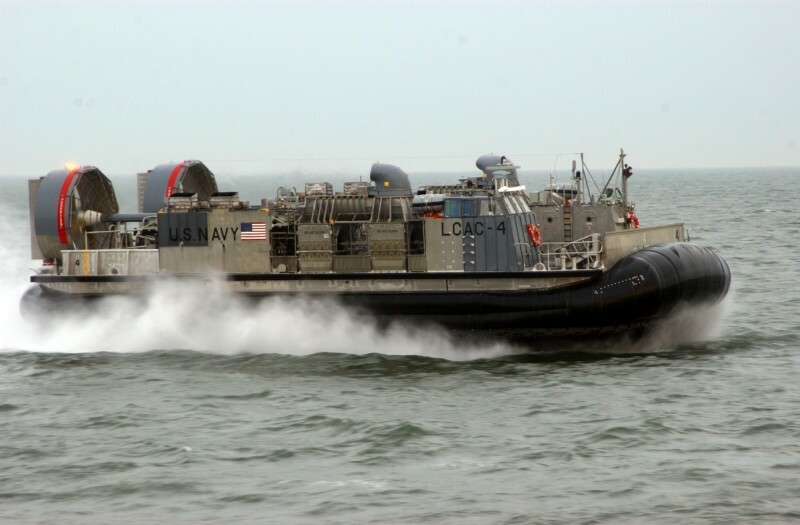 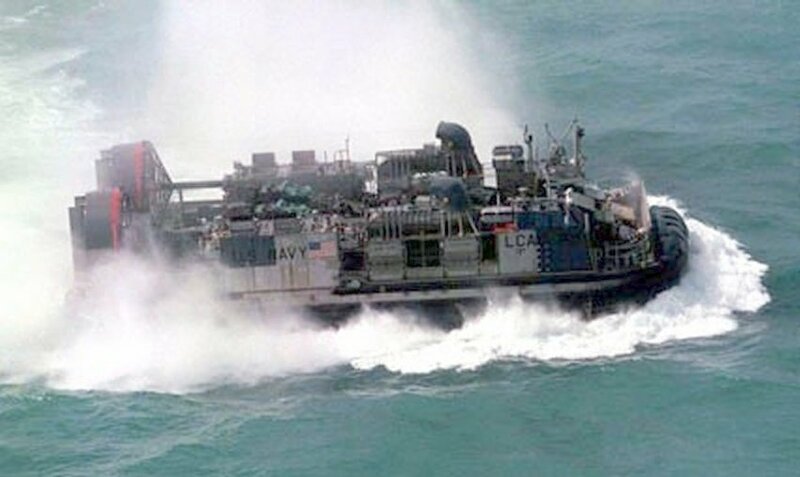 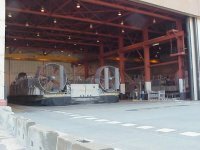 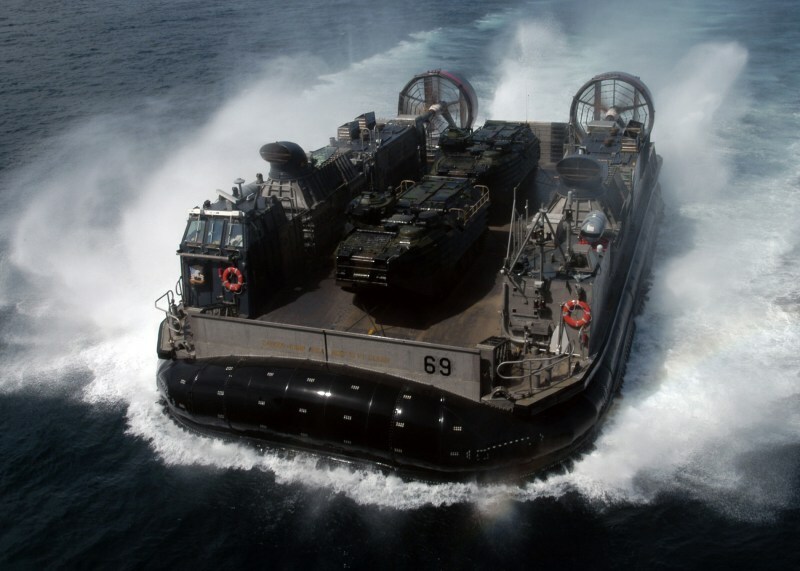 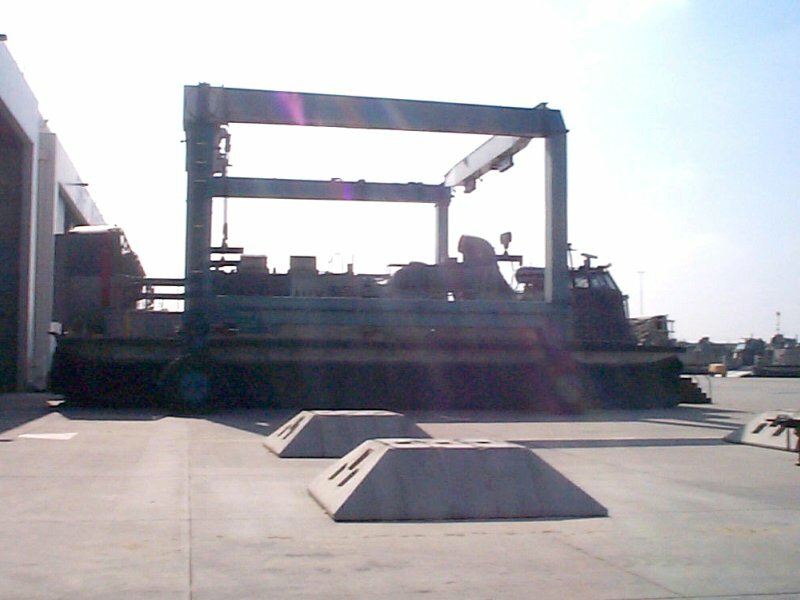 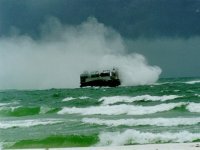 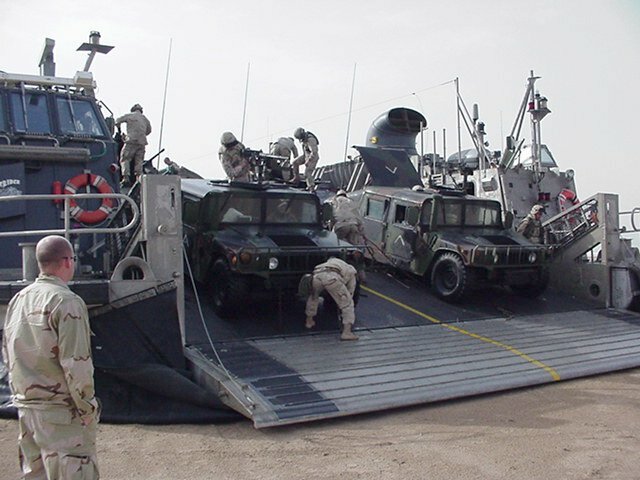 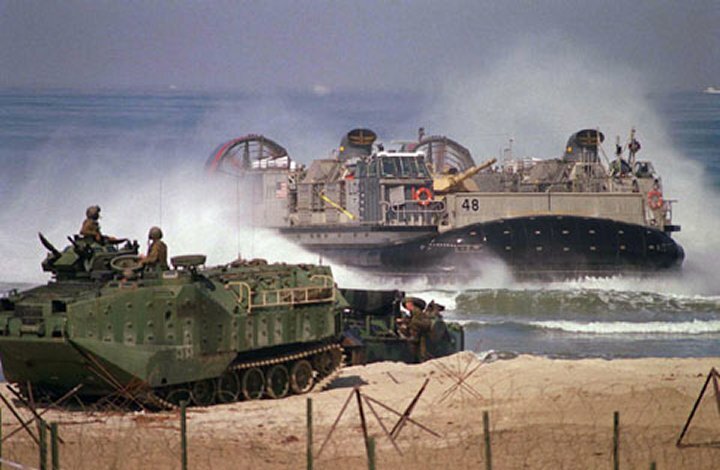 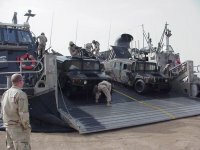 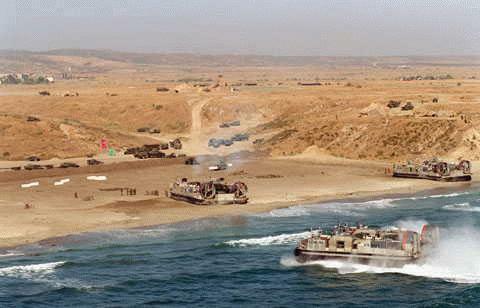 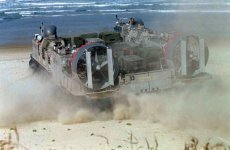 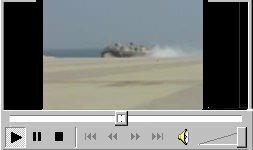 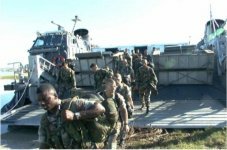 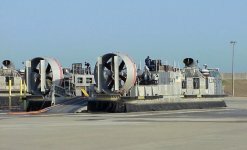 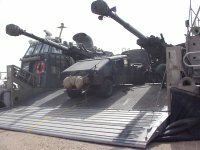 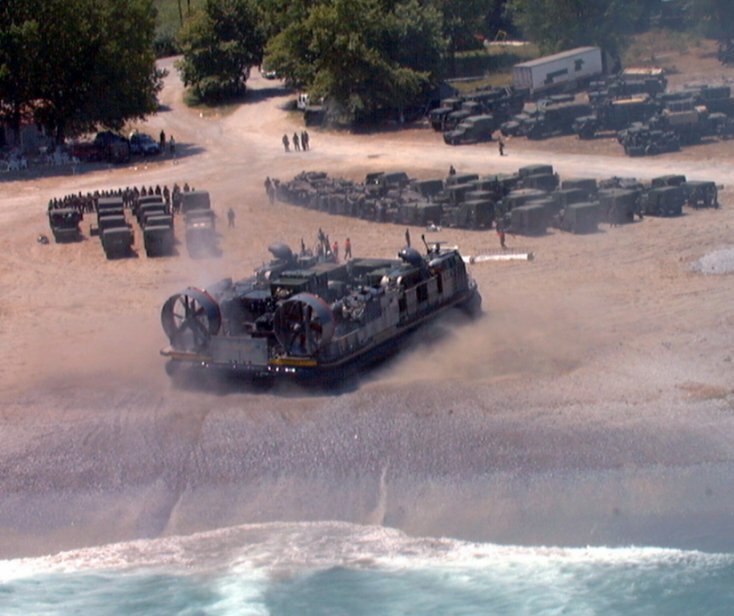 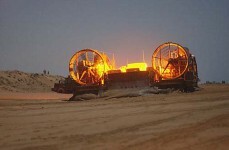 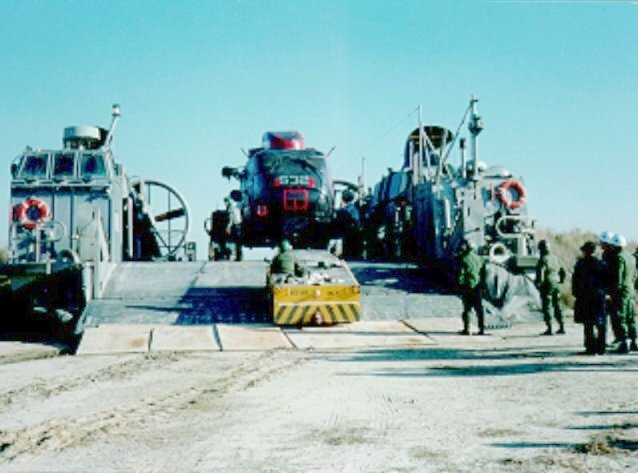 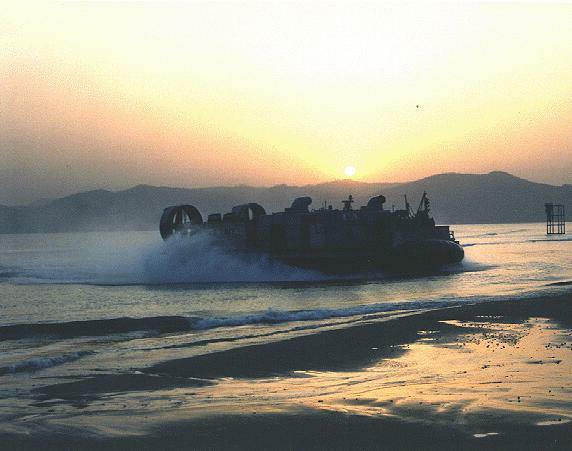 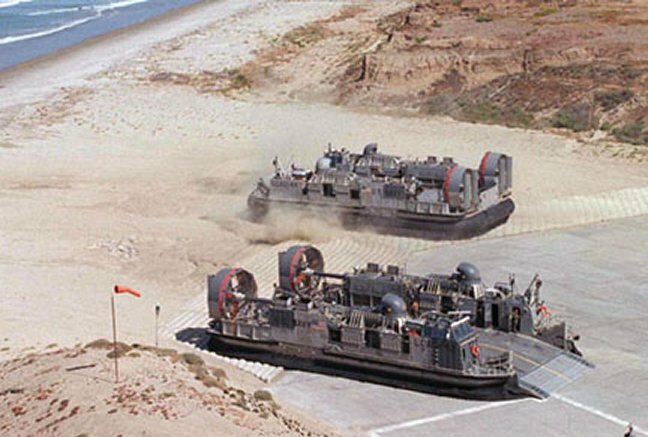 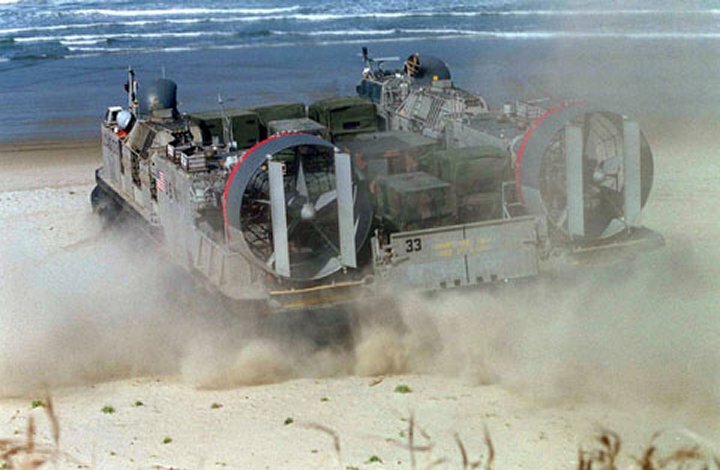 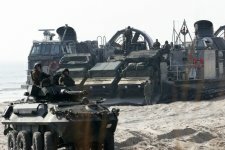 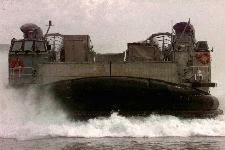 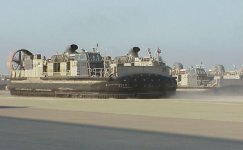 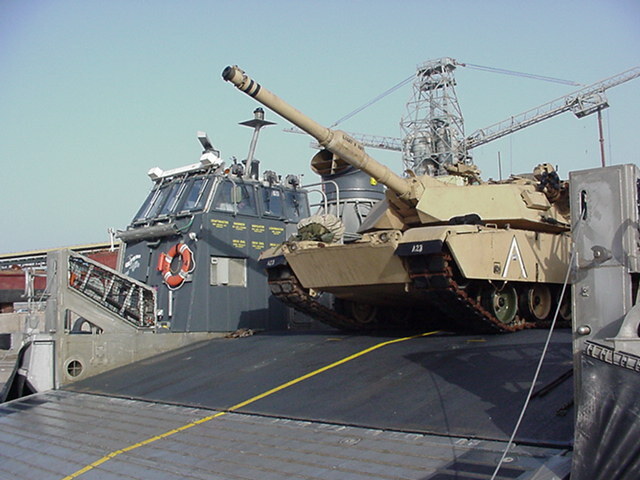 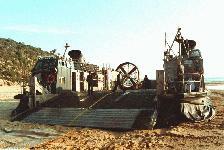 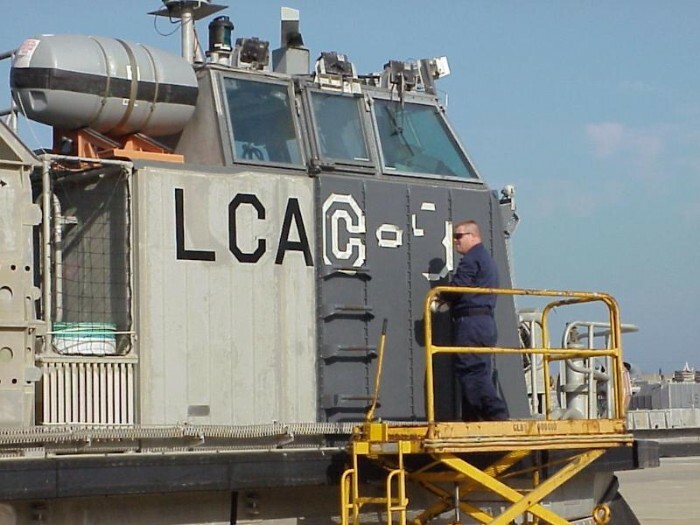 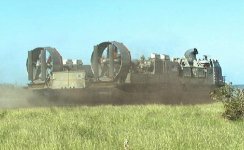 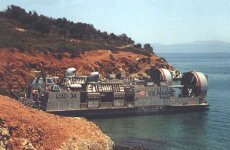 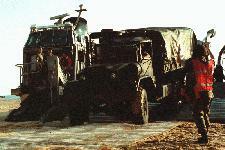 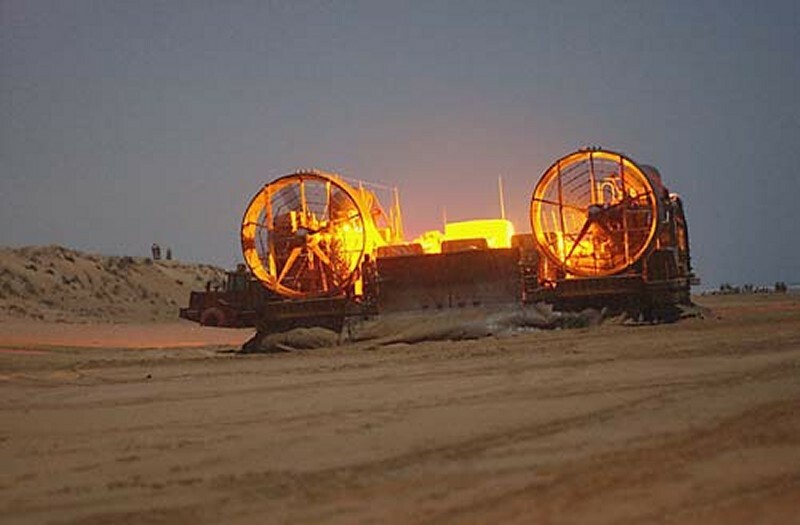 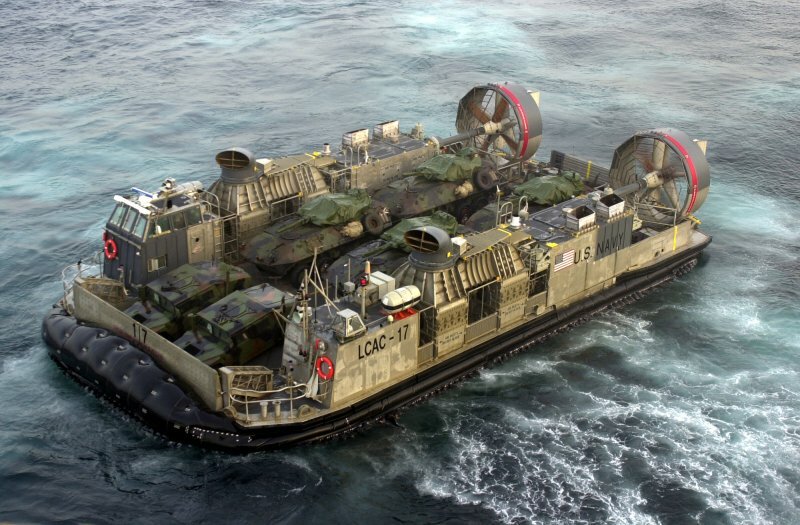 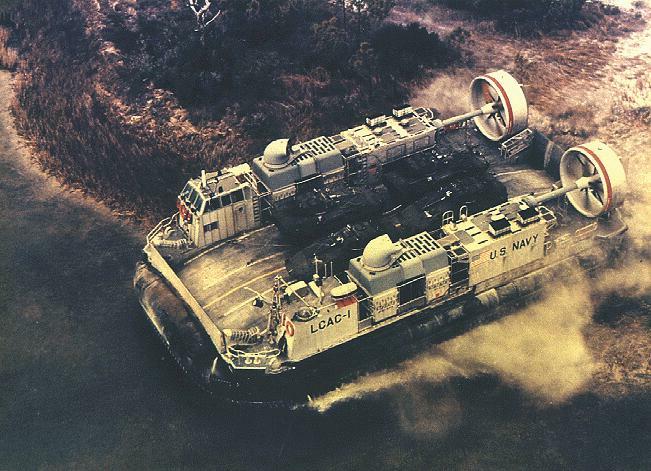 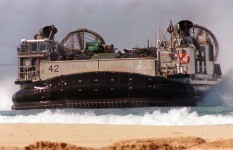 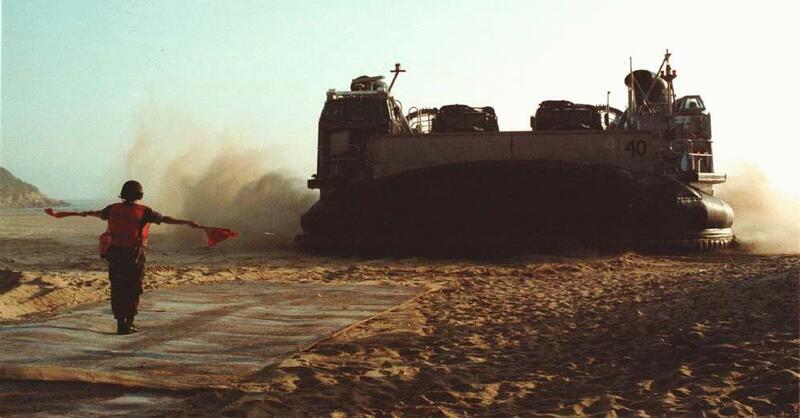 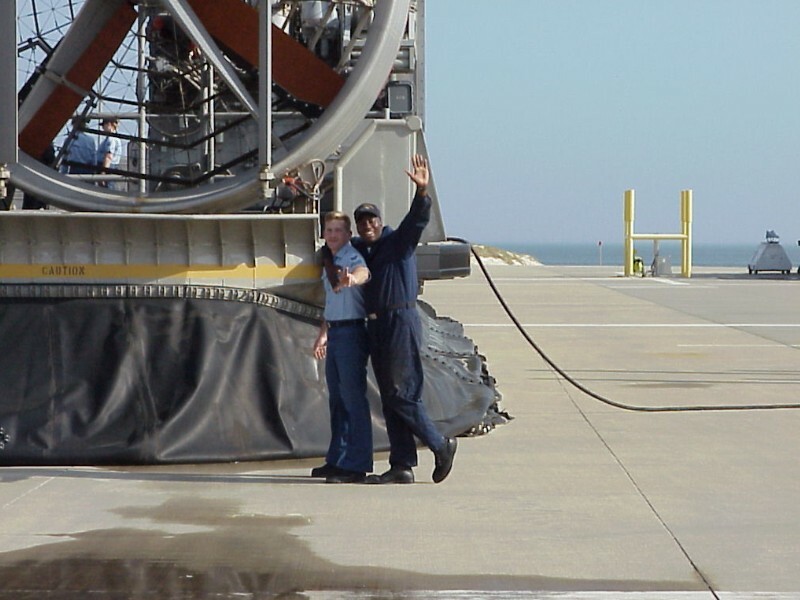 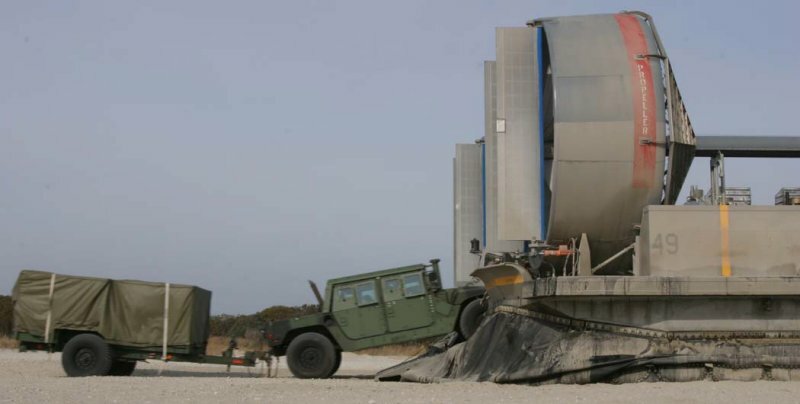 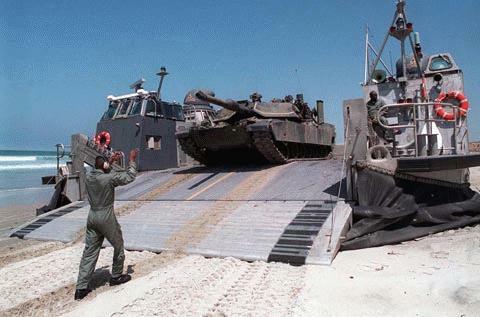 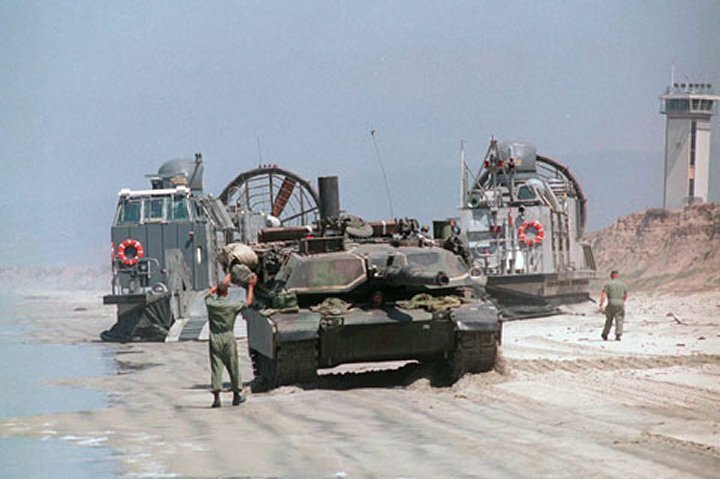 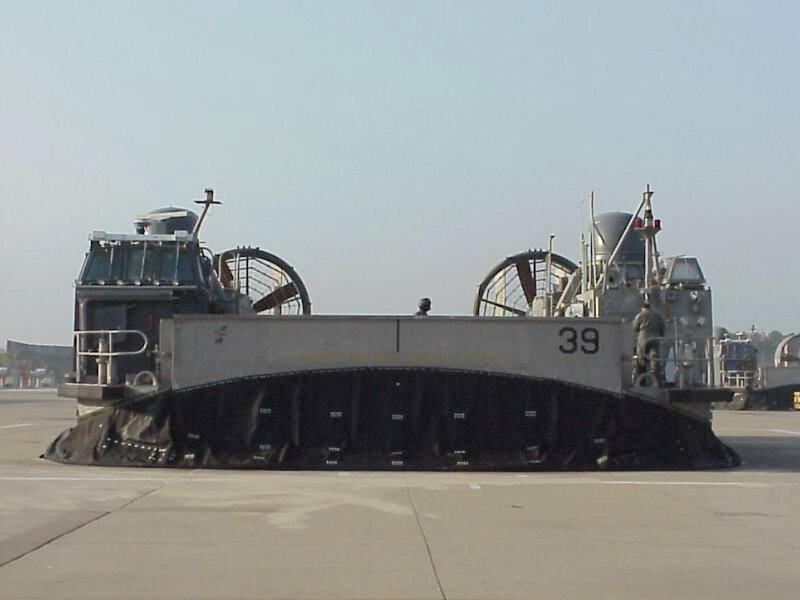 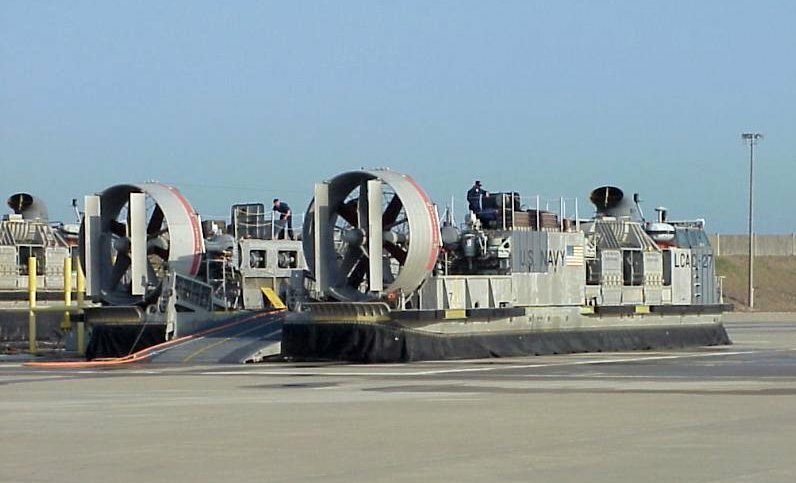 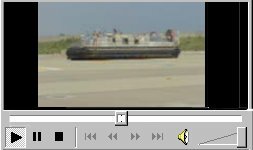 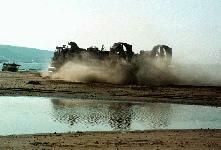 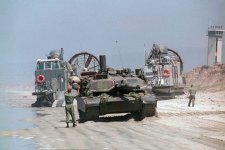 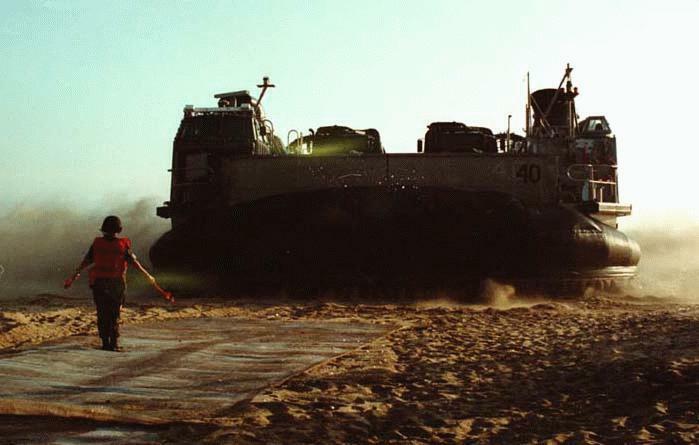 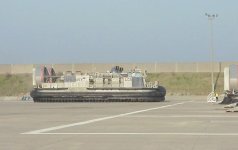 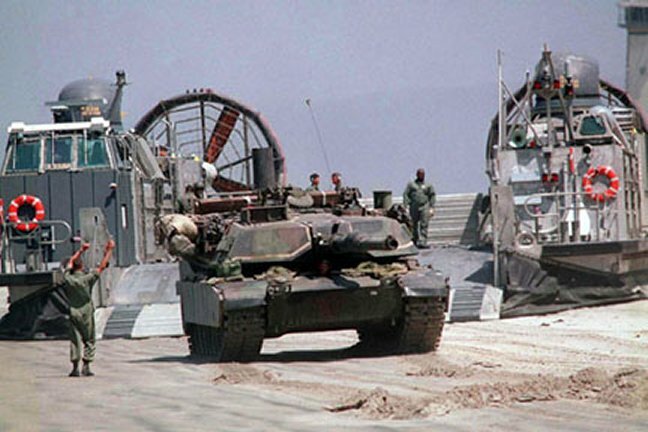 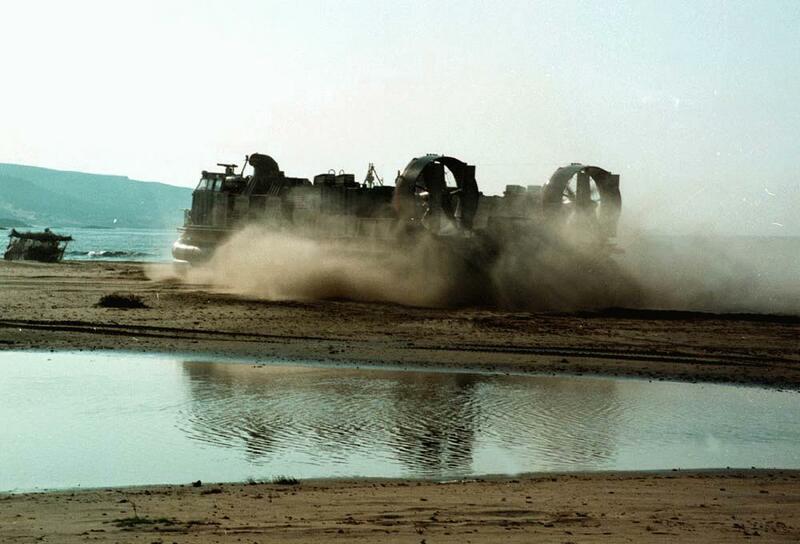 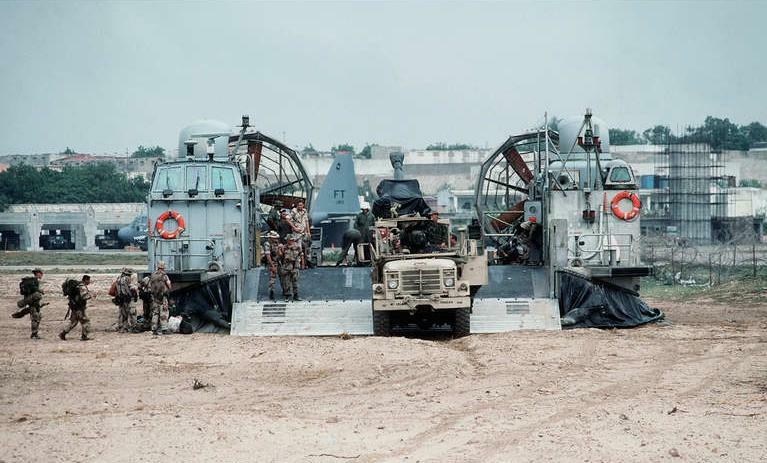 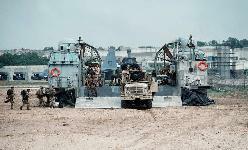 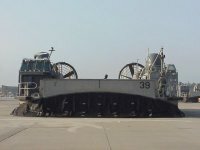 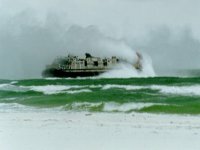 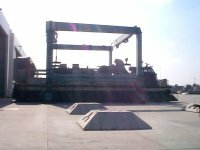 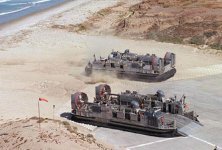 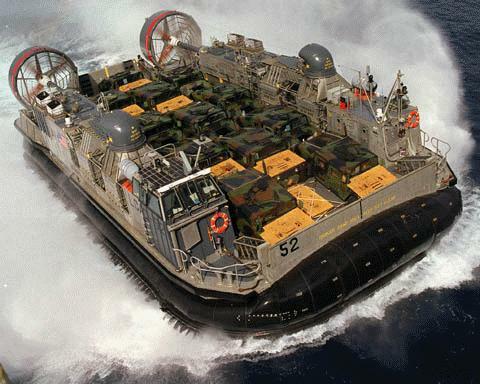 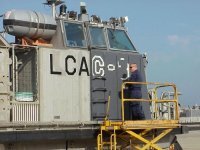 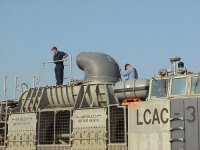 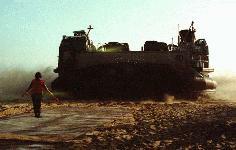 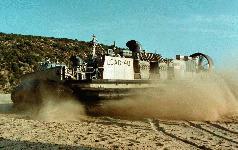 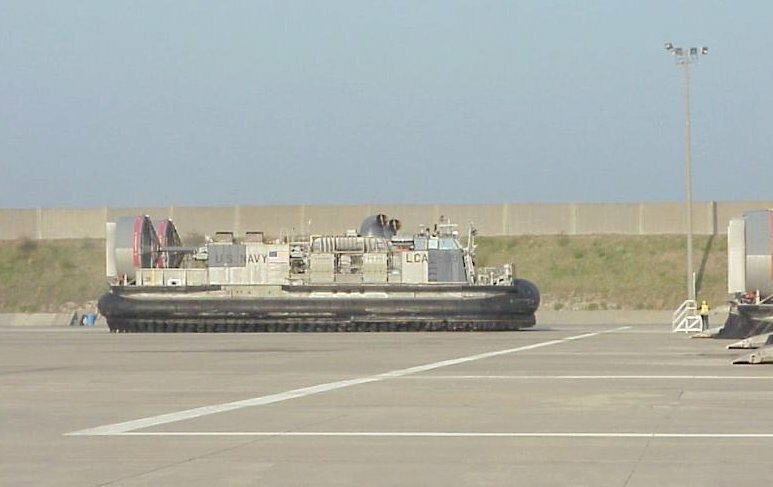 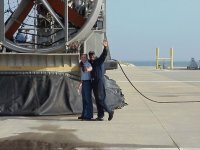 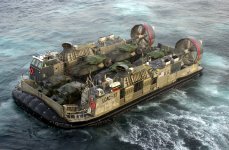 LCAC 13 just prior to entering COMSTOCK's well. 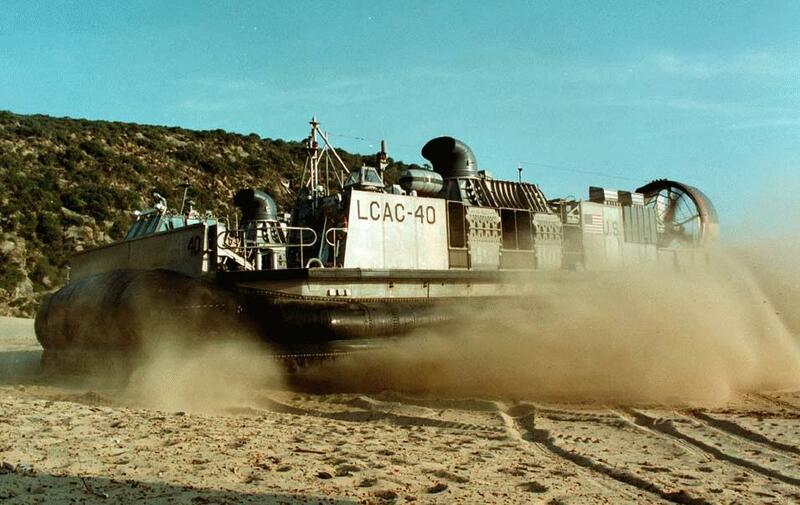 LCAC Number 13 beginning to enter COMSTOCK's well. 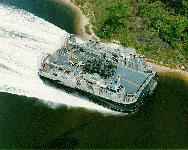 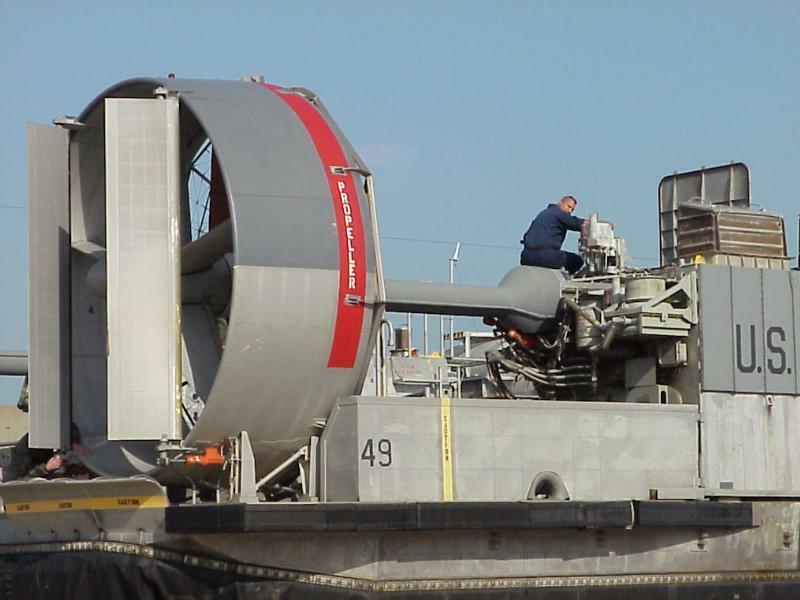 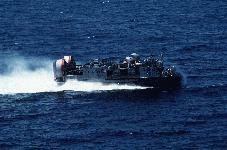 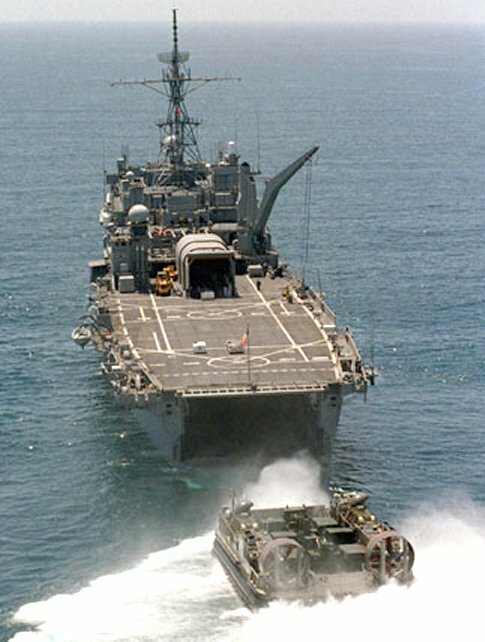 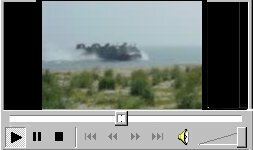 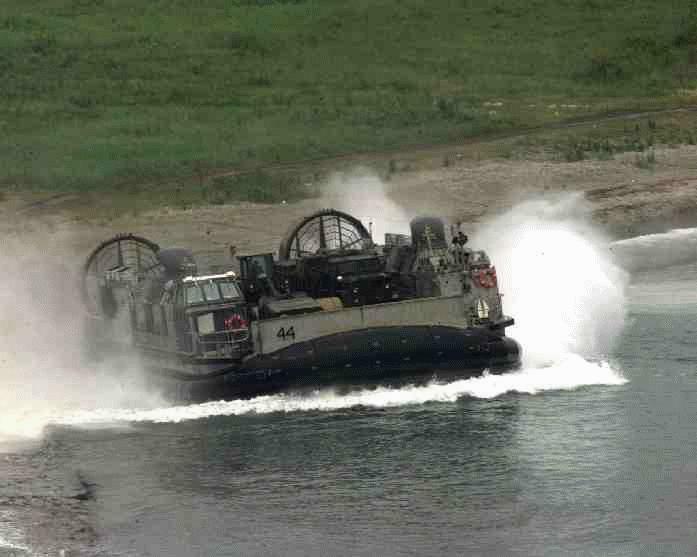 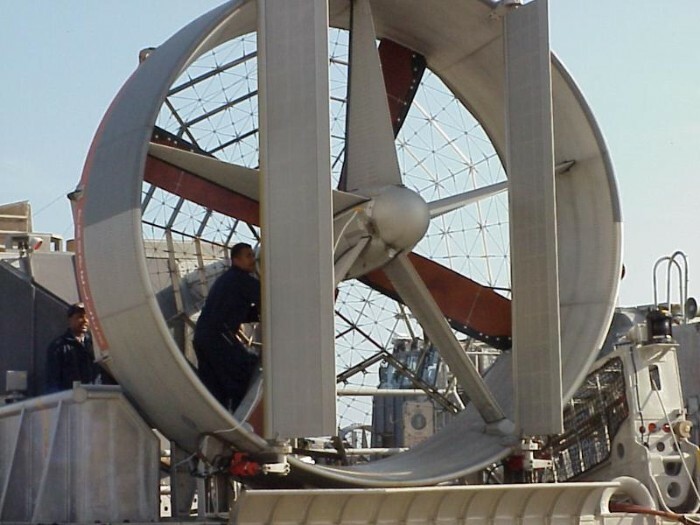 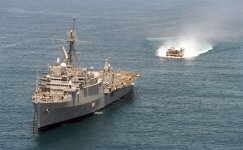 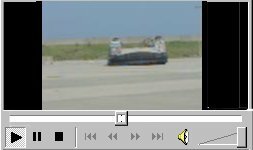 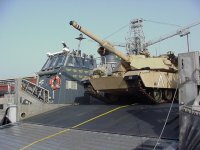 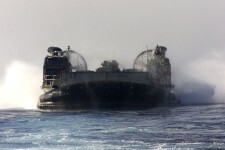 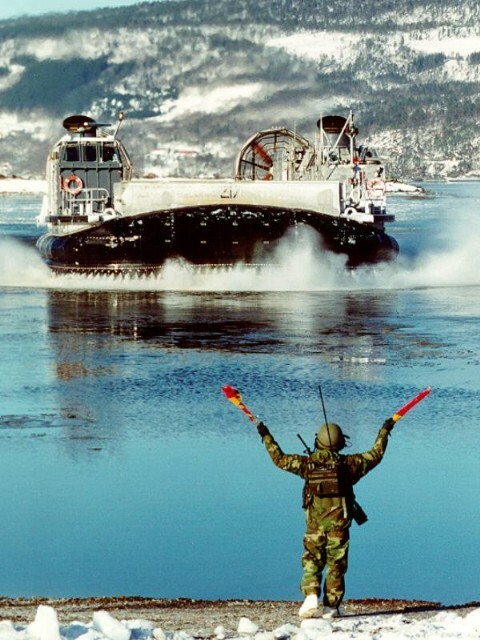 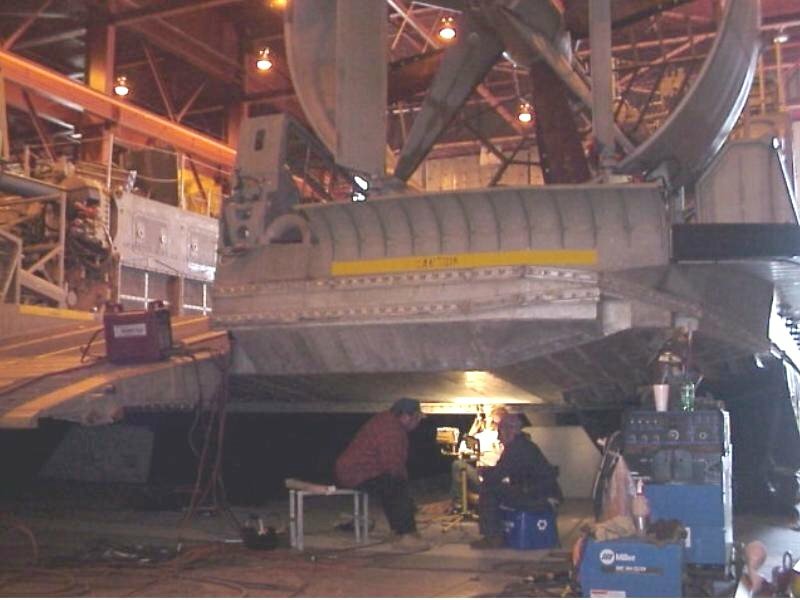 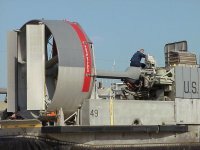 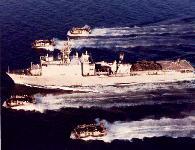 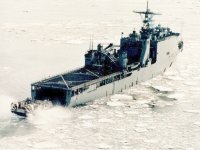 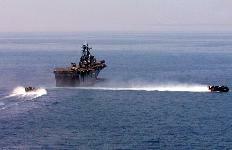 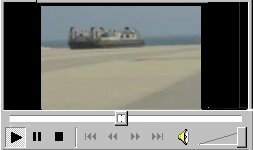 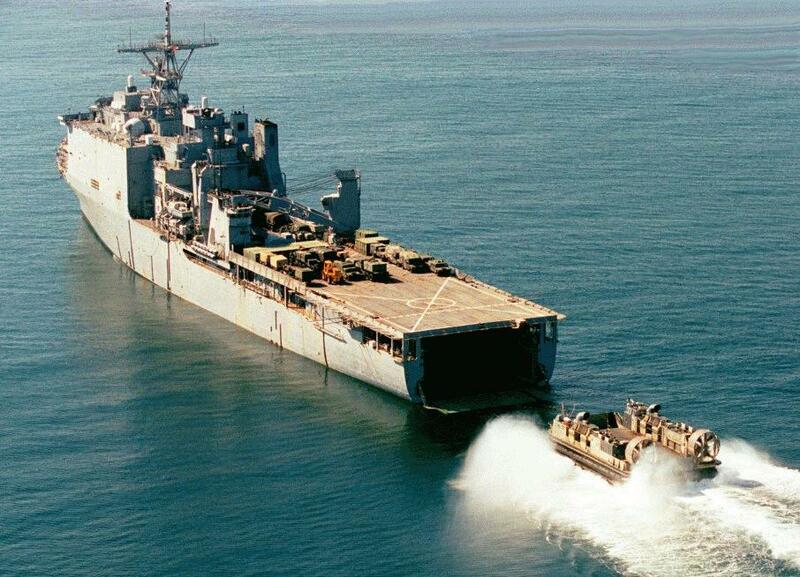 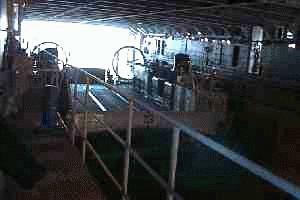 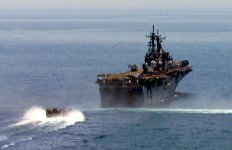 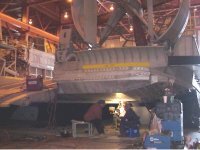 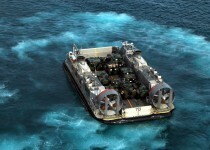 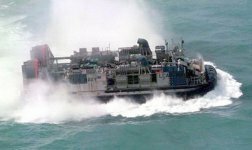 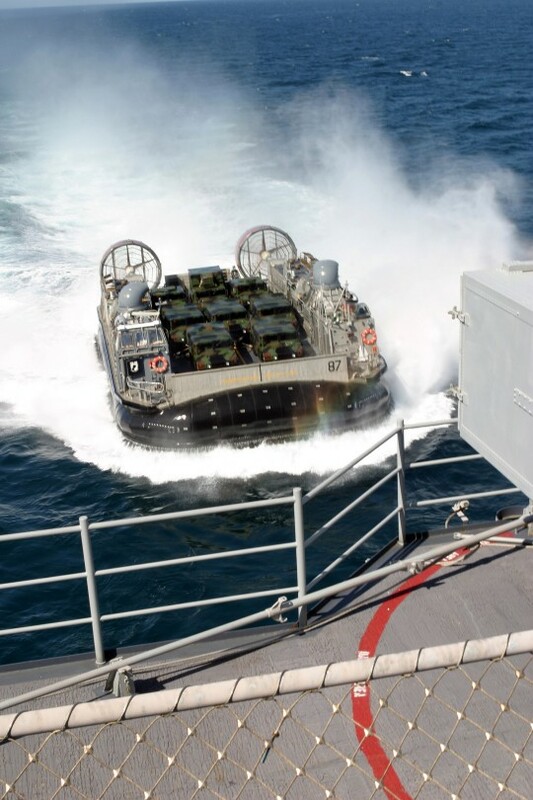 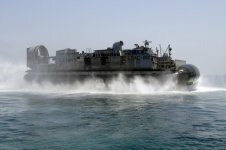 LCAC Number 13 in COMSTOCK's well, manuevering to final position.